Shout out to the CSCMP as they have an excellent glossary of terms available for download. According to CSCMP, 3PLs came around in the 1970s with intermodal marketing companies (ICMs). Since contracts for transporations had only two parties listed, the shipper and the carrier, the ICMs became the 3rd party to the contract. In 2008, the term 3PL officially become a little more defined with H.R. 4040 (110th): Consumer Product Safety Improvement Act of 2008. This bill was created to establish consumer product safety standards; but yet they still managed to squeeze 27 words into the bill that helps us define a 3PL. A 3PL as defined by the United States government is, “a person who solely receives, holds, or otherwise transports a consumer product in the ordinary course of business but who does not take title to the product.” It sure is a vague definition, but it’s better than the original definition from the 1970s. Over the next 40 years, the definition of a 3PL expanded to include the physical distribution of products, managing the logistics of the transportation and most recently to managing the entire supply chain. 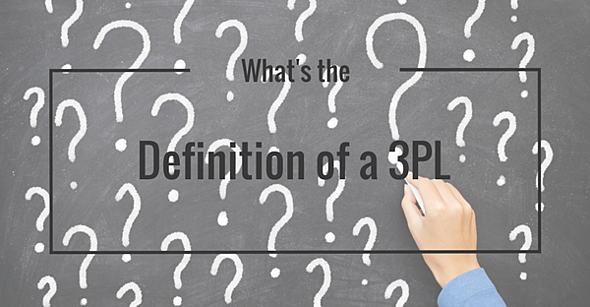 In a nut shell, if a company provides any aspect of logistics as a service, they call themselves a 3PL. Services that are often provided by 3PLs are: transportation, warehousing, cross-docking, inventory management, packaging, and freight forwarding. Often times, value-added services like: track and trace, kitting, etc… are provided in addition to the core services provided by 3PLs. Domestic third-party logistics (3PL) revenue for 2014 was estimated to be $157.8 billion dollars in 2014 (Armstrong & Associates). The 3PL industry has continued to grow as businesses and consumers look for ways to create more value in their supply chains. The 2016 20th Annual Third Party Logistics Study shows that 3PLs, and 3PL users, are becoming more proficient at working together which is yielding cost reductions and improved customer services. Additionally, both are excelling through innovation with a focus on efficiency.